Received Naval commission and served a year at sea before entering flight school and receiving pilots wings in 1956. Remained with the USN, serving in various capacities until selected by NASA in 1966. 1973, CMP of the first NASA space station mission where he assisted in the repair of the Skylab Orbital Workshop performing 2 EVA’s during his near one month stay. 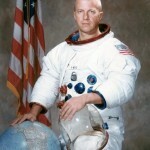 1983, CDR of the maiden voyage of the Space Shuttle Challenger which featured the first EVA’s of the Shuttle program. 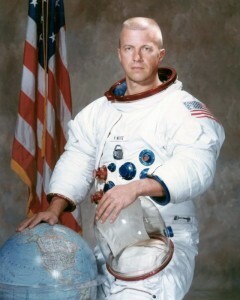 Following STS-6, named Deputy Director, Johnson Space Center where he remained until retirement from NASA in May 1994.